Do you enjoy cooking, entertaining friends, or going out to lunch or dinner? Would you like to make a difference in the life of an abused child in need just by participating in a fun activity? Check out our new awareness campaign, SC²! All you have to do is follow these easy steps and you can become a part of this new, exciting SAVING CHILDREN SUPPER CLUB! ​1) Email carehouse@bellsouth.net to express your interest in SC² Membership and choose your preferred method of contact with us (email, phone. text, Facebook, face to face meetings, etc.) There are no dues to become a Member, just a desire to help children in need! 2) We will get back in touch with you to review our mission and services. You may also read our website to gather a general idea of our important cause and the type of work that we do everyday. 3) You will choose when and where you would like to Host a dinner or lunch (home or restaurant or wherever!) and will invite friends, neighbors, colleagues, and/or family to participate in your SC² Club. You can cook, have a potluck, or dine out around town....whichever is best for you! 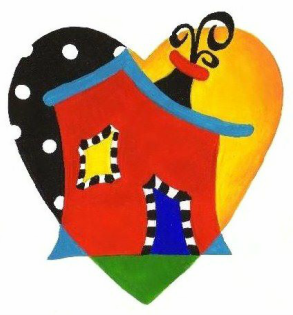 4) During your Saving Children Supper Club event, you will let your attendees know that you are helping the Baldwin County Child Advocacy Center through your participation and Membership in SC²! You will provide them with a brief overview of the BCCAC and tell them a bit about the kids that we serve (We can provide you with print and/or media materials to use)......AND then ask your attendees if they would like to be involved! or keep the children that we serve in their thoughts and prayers throughout the year. 6) We plan to celebrate all SC² Members at the end of our annual awareness/fundraising campaign each year. Keep in touch to learn more about how we plan to celebrate you and the difference that you are making in our community! Thank you!